on monday, i started the barre3 "28 to great challenge". barre3 helps to balance, strengthen and lengthen the body with moves inspired by ballet, yoga and pilates. sadie lincoln, barre3 founder, works closely with a team of experts including yogis, professional dancers, doctors, and athletes to craft highly efficient workouts. focusing on a unique combination of dynamic movement and isometric holds, the sequences work strategically to transform the body and develop long term postural benefits. two years ago, i was a southern california transplant living in the pacific northwest (bend, or). i have never been able to stick to any exercise program, no matter what i try. i have had countless gym memberships, own a plethora of exercise dvds, joined running groups, zumba'ed and gone to yoga and pilates studio classes. while in oregon, a friend invited me to join her by going to a barre3 class at a local studio. i accepted and was hooked. i have never seen my body respond to an exercise program so well and i have never enjoyed something quite as much. i felt healthy, more confident than i have ever felt about my body and was in *love* with the results--a rockin' "barre3 booty" and long, lean muscles. i have since returned to my southern california roots and am back in san diego. they just opened up the first barre3 studio in san diego, but unfortunately it is more than 30 minutes from my house which makes it an unrealistic option for regular attendance. i was *thrilled* when i heard that i can now access my favorite workout program online *and* they are now offering a "28 to great challenge" as well. the "28 to great challenge" includes unlimited online access to tons of awesome workouts (the range from 10-60 minutes in length) as well as an easy, step-by-step exercise and nutrition plan for the 28 days. it also includes weekly email newsletters with specific directions, tips, and motivation for the week ahead, a barre3 core ball and barre3 wristband----all of the above for only $28! 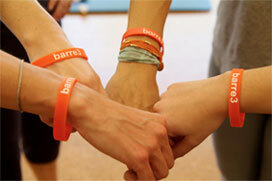 note: if there is a barre3 studio near you, go!! 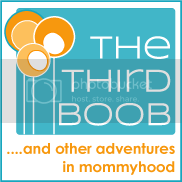 they have child care and it is a truly supportive environment with amazing women, great music and unbelievable results. i am 4 days into my 28 day challenge and doing well. the online workouts make me feel like i am back in the studio and they are easier to do at home then i thought they would be. i am having less success with the meal plan this week, having guests in town visiting....but i plan to keep improving on that as well.